During winter, the temperatures may fall in London, but the fun and excitement does not. This is because this city is replete with a variety of events and activities which can be enjoyed both by visitors and residents alike. From musical festivals to holiday celebrations and sporting events, this city provides a unique flair that is unrivalled and best toured through London coach rental. This event starts on November 22nd and will last until January 5th. Attendees will be able to embark on a charming journey through the wonderland that has been constructed near the Royal Botanical Gardens. This is a very popular annual event that occurs after dark. The trail is approximately one mile in length and has become popular for its spectacular illumination show which encompasses over one million lights. On November 10th, London will commemorate the Lord Mayor with a major procession that will move through Aldwych and Bank. This show is a tradition which was first established in 1215, when a charter granted by King John gave London citizens the opportunity to choose their mayor. Each year, the Lord Mayor that has been recently elected will journey from London all the way to Westminster where a pledge of allegiance will be made for the Crown. This event will include classical festivities combined with contemporary pageantry, with more than 500,000 people expected to attend. Between November 11th and November 18th, a final contest will be held in professional tennis, where the legendary Roger Federer will compete with Novak Djokovic, Juan Martin Del Potro and Rafael Nadal to determine who the best in the world is. The matches will utilize a round robin structure, with each session having one doubles match which will be followed by a singles clash. This event will be held in the O2 Arena and is highly anticipated by tennis fans around the world. One of the best ways to build your Christmas spirit is by visiting Hyde Park from November 22nd until January 6th, where you will be treated to a variety of fun activities such as circus shows, a Christmas market, observation wheel and ice skating. This event offers free entry and is perfect for families. Live music will played while attendees skate on the United Kingdom’s largest rink, and children will be able to find mythical creatures constructed from snow and ice while touring the Secret Forest of the Magical Ice Kingdom. On November 30th, the city of London will celebrate Scottish heritage on a grand scale. St. Andrew is an important saint within Scotland, and has been given a national day which is also a holiday for banks. Although this is not the case within England itself, Londoners will still mark the event by bringing out whisky, tartan, haggis and bagpipes. For those who are looking for additional evening fun, Burns Night is an event which will be held that commemorates the Scottish poet Robert Burns. Although Thanksgiving is traditionally considered an American holiday, the UK also celebrates this event. Starting on November 22nd, family and friends throughout London will get together to enjoy a classical feast, which includes lots of turkey and dressing. The United Kingdom has a thriving American expat community, and every year they get together for a service at the St. Paul’s Cathedral, which has open availability or anyone who desires to attend. 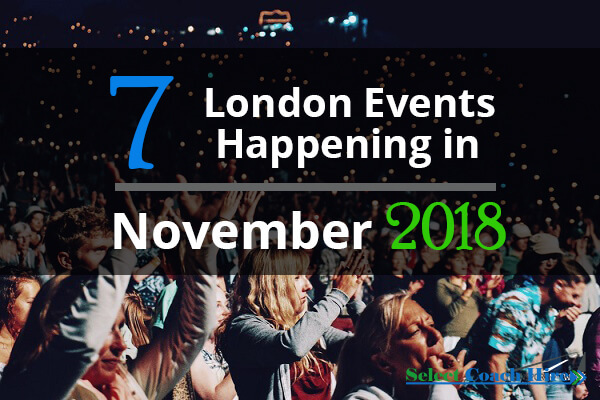 There will also be many restaurants throughout London which will offer Thanksgiving style meals, which include clam chowder, turkey and pumpkin pie. This is an event that no jazz enthusiast living in London will want to miss! 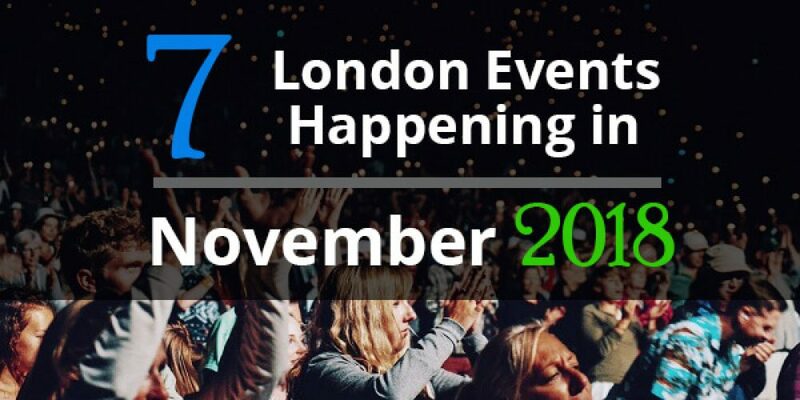 Beginning on November 16th a festival will be held at numerous locations throughout London, including the Royal Festival Hall, Omnibus Theatre and Elizabeth Hall, where attendees will get to enjoy outstanding jazz music. The EFG London Jazz Festival is an extremely popular event that has been held since 1992, and which has hosted Jazz legends such as Wayne Shorter, George Russell, the Gipsy Kings, Joe Pass and Carla Bley.